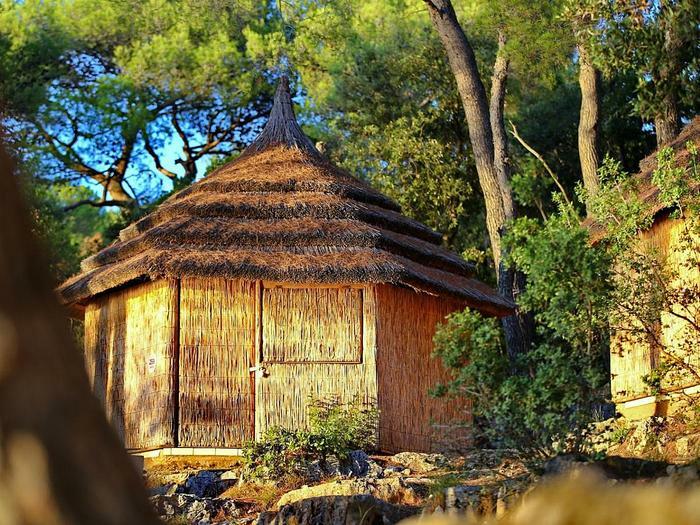 Croatia has a truly good and diverse hotel accommodation offer. From luxury to budget hotels, each guest can find something for themselves. Besides modern interiors, most hotels offer interesting amenities like beauty and wellness programs, renting bikes and scooters. 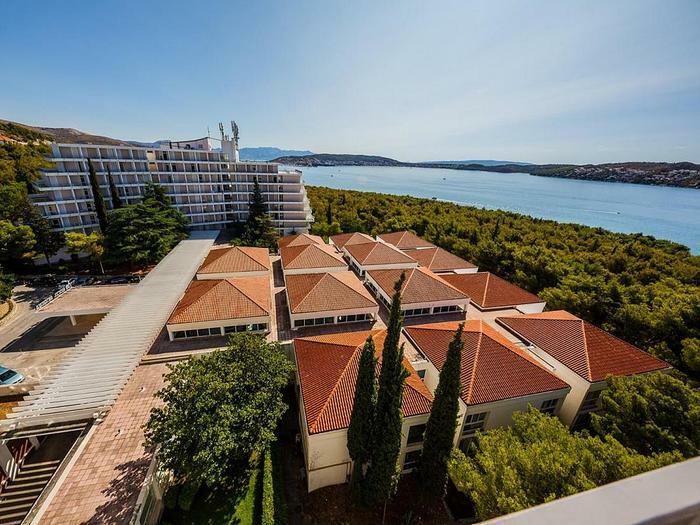 That is why we have taken a look into the hotel accommodation offer in Croatia and made a list of top three hotels in each category. 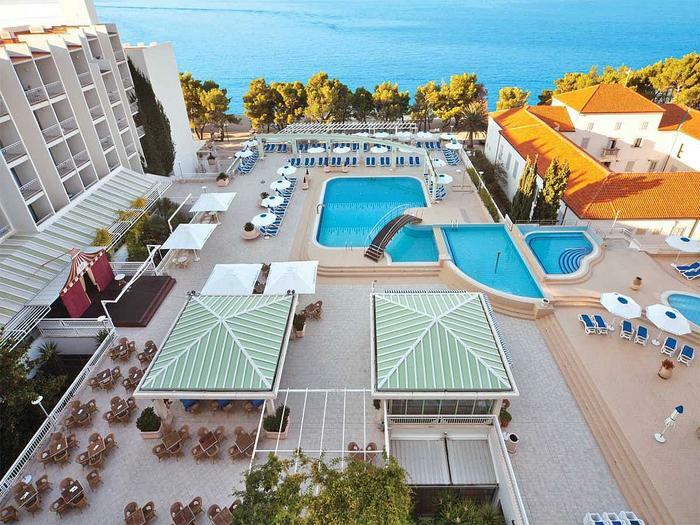 This 4-star family hotel is situated in the well-known holiday destination – Tučepi – next to Makarska. It has everything one needs for an unforgettable and active vacation – gym, sauna, massages, indoor and outdoor pools. If you'd rather swim in the sea, don't worry. The closest beach is only 50 m away. Just relax and let Alga staff take care of your kids by engaging them in dance recitals. 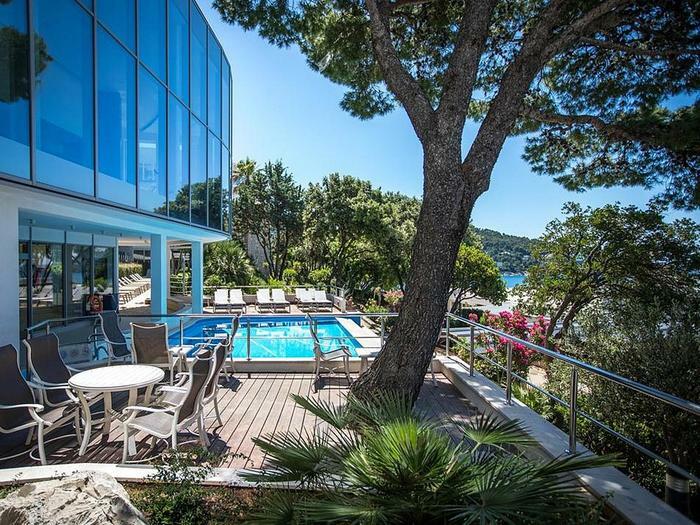 Sail with us to Mali Lošinj where another 4-star family hotel awaits. This 4-floor hotel with a lift is surrounded by centuries old pine trees and only 50 m away from the beach. Vespera hotel will cater to your wishes, especially if you're up for the activities. The hotel offers tennis, beach volleyball, mini golf, table tennis, basketball, bike rent and there is also a fitness gym where you can pay your body some more attention. While you're doing your thing, your youngsters can have their own set of fun in the playroom, participating in dance recitals or enjoying various sports activities offered by the hotel. The hotel has an exchange office, a souvenir shop, outdoor pool, a la carte restaurant, and is also suitable for the disabled. Rab island is ideal for a quiet, yet active vacation. It will delight you with its culturual and historical heritage. 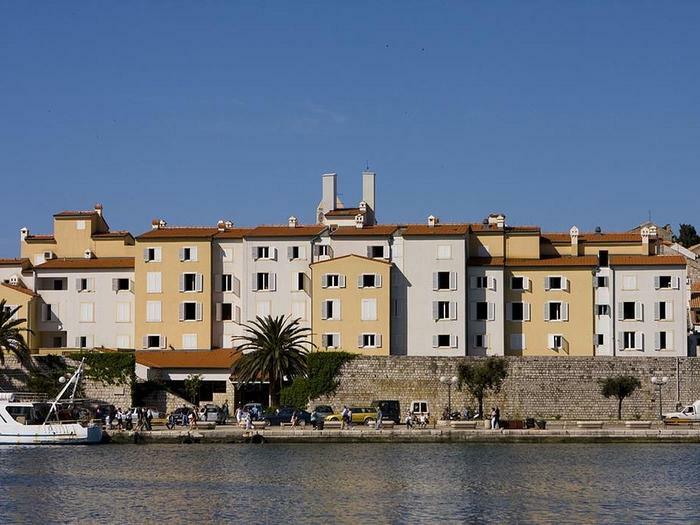 The International Hotel will also delihght you being just 300 m away from Rab's center. Next to the hotel there is a restaurant, a disco club and a post office. The nearest beach is only 800 m away – you can get to it in no time if you rent a bike at the hotel. Your kids will have a great time at the outdoor pool with a special section for kids while you enjoy your own pool time and use parasols and sunbeds for free. Selce next to Crikvenica is one of the nicest tourist villages in Croatia. It's surrounded by fishermen's houses, pines and pebble beaches ideal for families with children. Hotel Katarina is located at the very entrance to Selce. This nice 4-star hotel is an ideal option for all those looking for affordable hotel accommodation. Outdoor and indoor pools are connected to the hotel and have a kids' section suitable for non-swimmers. Adults can relax while sipping coffee at the cafe next to the pool. Korčula will delight you with its impressive stone walls, delicious mediterranean specialities, secret bays and beaches of unreal beauty. 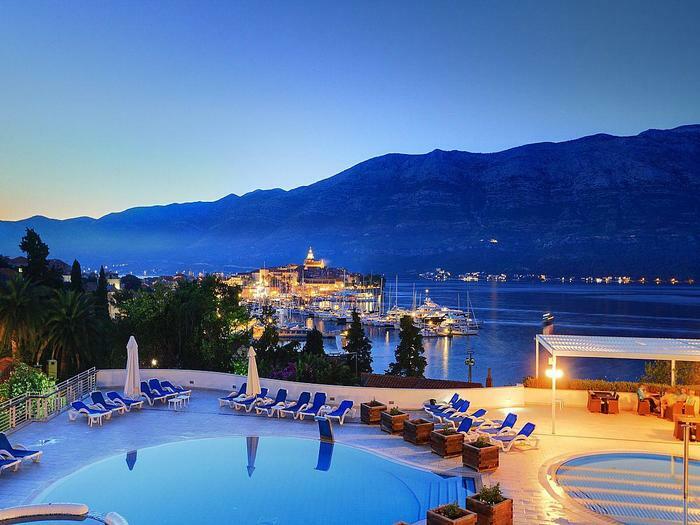 It will do even more so if you stay at the Marko Polo hotel in Korčula. This 4-star hotel is located on a hill from which you can see a lovely image of the old town embraced by the sea. The closest beach is only 100 m away from the hotel, and there is a FKK beach very near (300 m). The town center is a 10 minute walk away. There are indoor and outdoor pools with kids' sections and you can use the parasols and sunbeds free of charge. If you'd like to relax and recharge completely, Marko Polo offers sauna, massage parlor, tanning salon, hairdresser and beauty center. Play a tennis or mini golf match, and if you're up for activities, rent a bike and go out and about on two wheels. 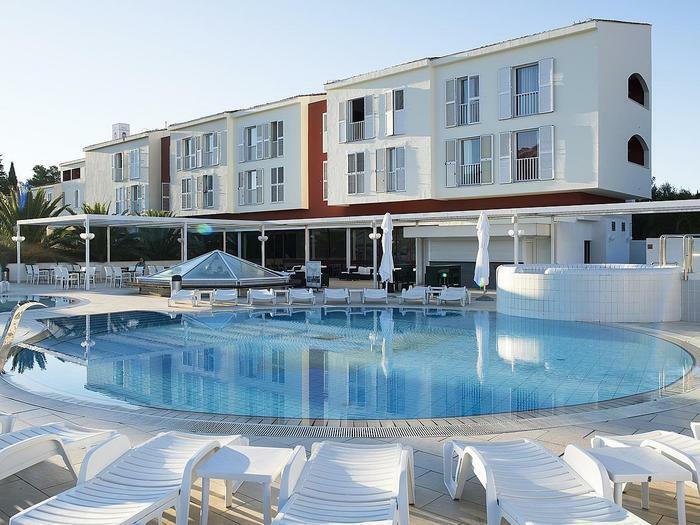 Yet another affordable hotel worthy of you attention is Medena in Seget Donji next to Trogir. This 3-star hotel offers free parking. There is also a pool where you can rent parasols and sunbeds. If you'd rather swim in the sea, just take a walk to the Medena beach only 150 m away. Medena offers quite a lot when it comes to active vacation. Play some tennis, soccer, mini golf, table tennis, volleyball or pool. Explore the surroundings by bike, or rent a scooter if you want to get around faster. All rooms have AC, TV and WiFi. 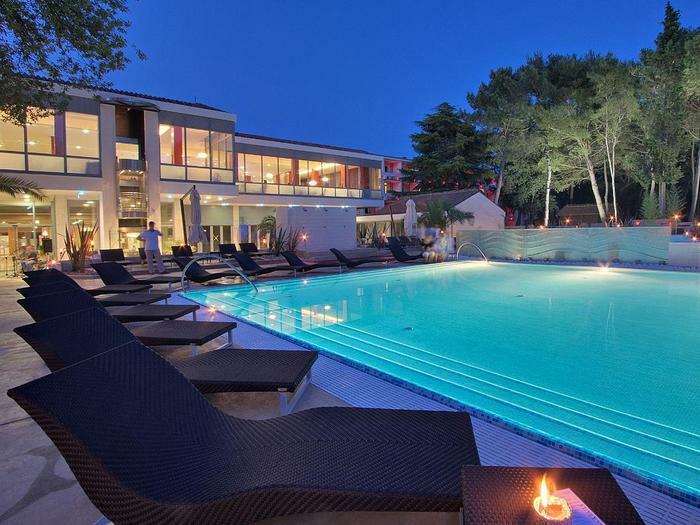 A modern 5-star hotel in Umag in Istria, Melia Coral, is ideal for all those longing for complete relaxation during their summer holiday. Good news is that the hotel renovated its beach in 2017. It's now covered in stone and pebbles and has nice entrances into the sea. Besides that, you can also take a swim in indoor and outdoor pools with sea water. You can also get a massage or a beauty treatment at the hairdresser's. Stay active by playing soccer, tennis, basketball or just by going to the gym. All rooms have AC, WiFi and TV. 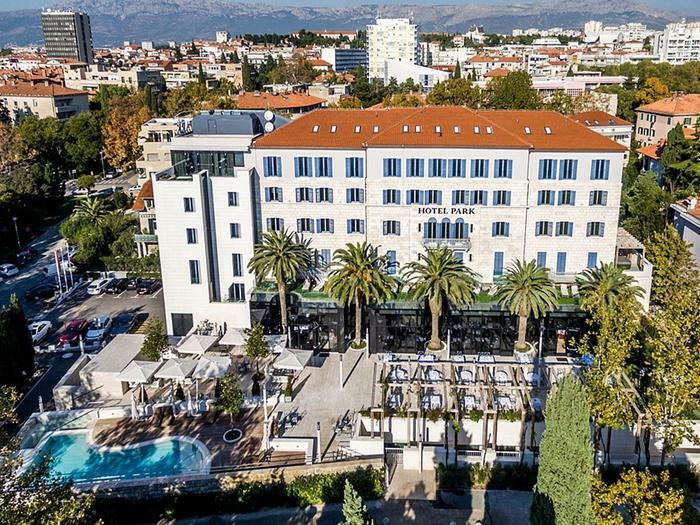 Ever since 1921, hotel Park in Split has offered superb service to its guests. The staff will welcome you with a glass of champagne. Renovated and luxurious rooms have free WiFi, flat screen TVs, minibars and safes. You can take a swim in the outdoor pool and lay on free sunbeds. If you wish to swim in the sea, go down to Bačvice only 50 m away from the hotel. The hotel has all that's necessary for everyone that wants to use their vacation for complete relaxation and pampering. There is a sauna, massage parlor, cosmetic parlor, beauty center and gym. Other amenities include an aperitif cafe bar, a la carte restaurant, exchange office, TV in common rooms and restaurant. Experience luxury in a city called the Pearl of the Adriatic. The best place for that is Ariston hotel 4.5 km away from the city center, located just above the sea. This luxury 5-star hotel will delight its guests with impeccable service, modern and renovated rooms with a sea view. The nearest beach is only 30 m away. Hotel Ariston is suitable for the disabled and has a lift. It also offers free parking. Relax at the indoor and outdoor pools with sea water while laying on sunbeds and sipping some cocktails. Recharge in the sauna or on the massage table, and stay in shape even on holiday by using the gym or renting a bike to go explore Dubrovnik at your own pace. Other amenities offered at the hotel: exchange office, a la carte restaurant, aperitiv cafe and laundry room. You'll make a right decision if you choose Bol on Brač island for your summer holiday. 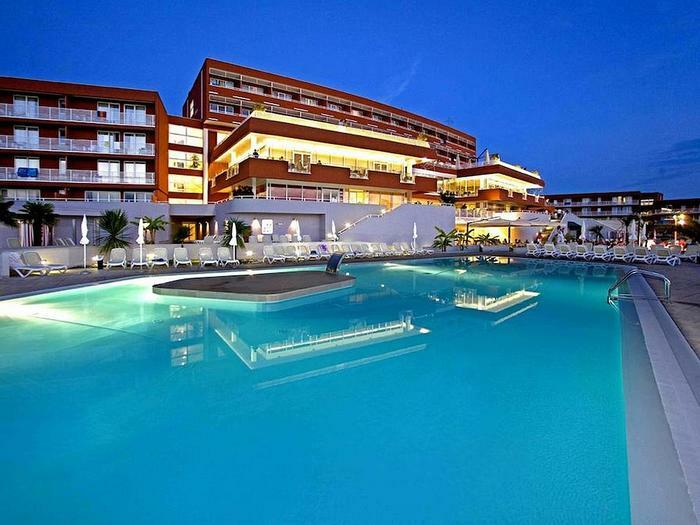 You can stay at the Bluesun Bonaca hotel only 2 km away from the world famous beach Zlatni rat. Families with children will especially enjoy the hotel because of its various fun activities. Parking is free. You can swim and have fun at the pool with a kids' section all day long. You can also soak up the sun laying on sunbeds underneath the parasols. If you'd like to try some local specialities, pay a visit to the Borak restaurant near the hotel. The closest beach is only 100 m away, and if you walk a bit more, you'll get to the FKK beach. Those looking for a great night out can spend their time at the disco club. This hotel offers a lot to guests who love to be active. You can play some tennis, beach volleyball or tour the island on a bike you can rent at the hotel. Your kids will have a great time at the playpen, participating in hobby workshops and dance recitals. 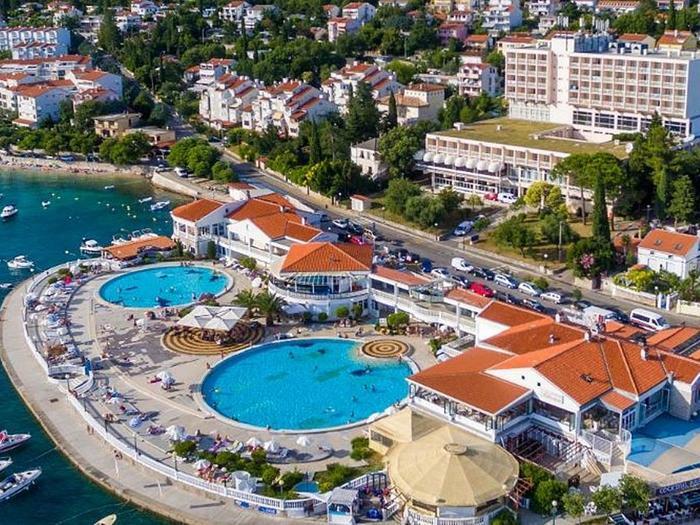 All inclusive hotel Laguna Albatross in a well-known tourist destination in Istira – Poreč – is a perfect place for an active and fun vacation for you and your family. You and your kids can have fun at the outdoor pool with a kids' section. Besides that, the hotel offers different activities for kids: mini klub, dance recitals and various sports activities. While your kids have fun, you can relax and exercise at the gym. If you're up for some exploring, rent a bike and roam around the adjecent beaches. Bored a bit by typical hotel rooms and looking for something different for you and your family? 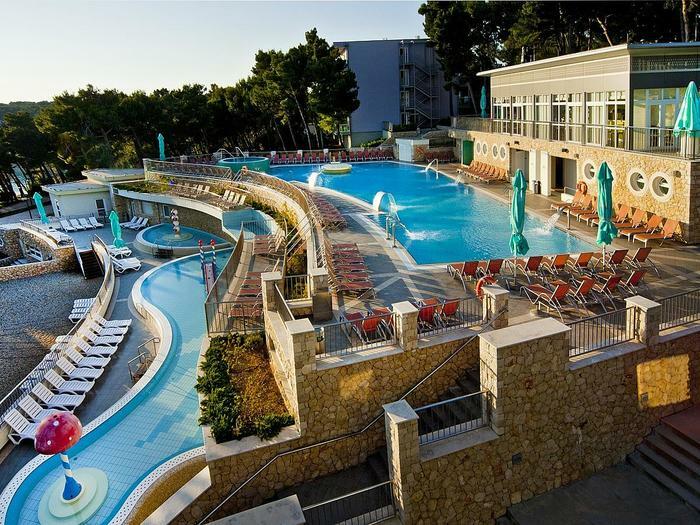 All inclusive tourist village Pine Beach in Pakoštane is just what you need. A differentiating feature of this tourist resort are nice sheds made of canes just like in old movies featuring exotic Pacific islands. Free parking is offered, too. Pine Beach is an ideal place for everybody who wants to be active on their vacation. You can play tennis, soccer, mini golf, bowling, table tennis, basketball. If you'd like to explore the surroundings, rent a bike. Kids will love activities tailored for them and the evening offer. There is also a souvenir shop, restaurant, exchange office and aperitif cafe. Pakoštane's great geographic location is ideal for exploring the neighboring towns like Biograd or Zadar, and if you'd prefer an island adventure, take a trip to Ugljan or Dugi otok and be amazed by the clear blue sea and big pebble and sand beaches.